I was out in Chiba today to play golf and passed this small railway station servicing a local line. 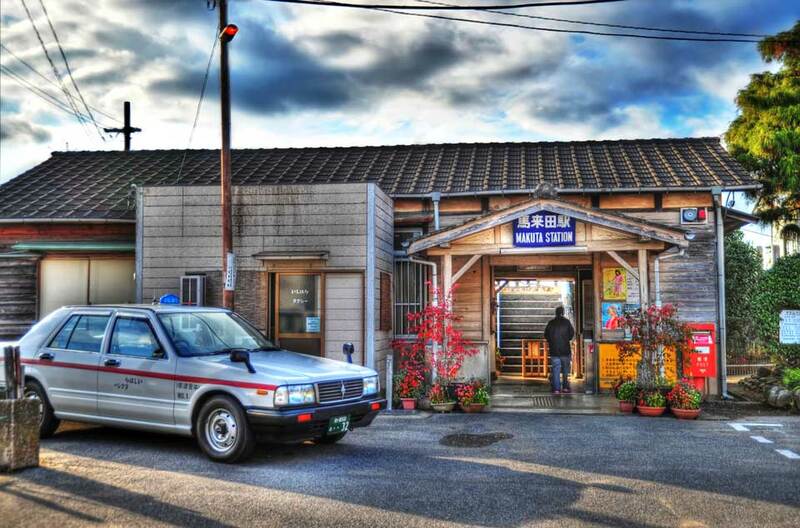 There are many of these old wooden stations around Japan, mostly in the country areas. They look tiny compared with a Shibuya or Shinjuku station, but they have so much more character and charm. Do you like the bigger stations in Japan or the small ones? I came back via the Aqualine and took a photo of these concrete blocks at the Umihotaru rest area. You can maybe just make out the buildings of Tokyo in the distance. Have you ridden the Aqualine?